A very special review for a very special day. As Canada celebrates its 150th birthday I thought I would celebrate with my 100th review and of course it HAD to be a Canadian whisky. 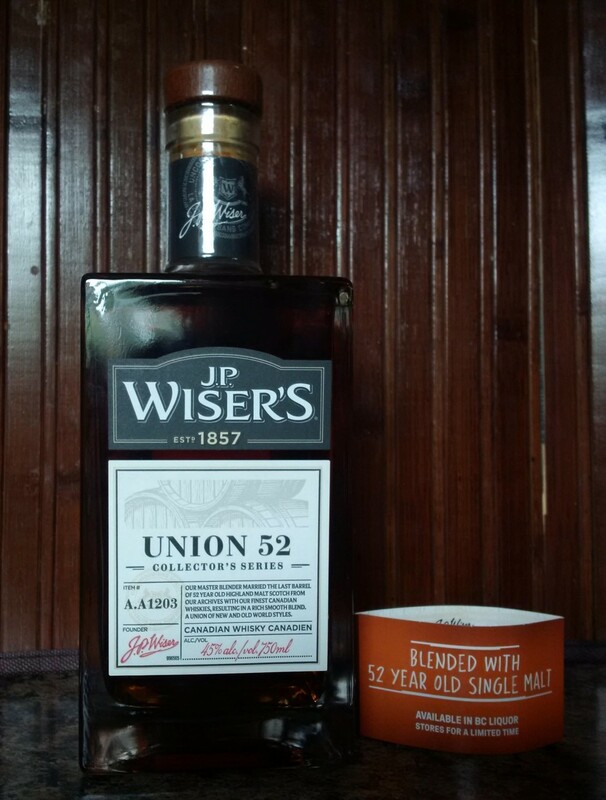 This whisky was released exclusively in BC, and is part of the company’s Collector Series. 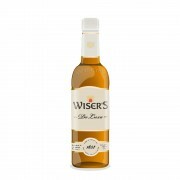 According to the keen palate of @Paddockjudge, my mentor in all whiskies Canadian, and confirmed by Dr. Don Livermore himself (how come whenever his name comes up I always think about effect of ethanol on liver tissue…), this is essentially Wiser’s Red Letter (96%) mixed with a 52 year old Highland Malt Scotch (4%). They would not disclose the origins of the Scotch, and it’s unclear whether it was in fact matured in Canada or Scotland (though @Paddockjudge’s review suggests it slept in Walkerville, so technically it is not Scotch). The strength of the malt was about 45%. To make this an extra special review for Canada day I decided to review this whisky in a number of different glassware types, most of them on separate days. I’ve recorded four sets of tasting notes with some universal comments at the end. Warning: This may be the longest review in Connosr history. 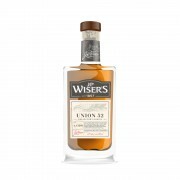 This is a nice example of Canadian Whisky. Definitely a different experience from the other two glasses so far. I left it covered to watch the last inning of the Jays game and came back with a refreshed palate. I’m impressed with the variation in what I smell and taste based on the glass that I’m using, despite the fact that there’s only a 1.5 point variation in scores. I’m not used to trying the same whisky so often in such a short time frame and I feel like the experience has allowed me to get to know it in a new way. This is a good whisky. Certainly it has strong, robust flavours. Would I like to try it at cask strength? Of course, but it holds its own at 45%. Second to last in this review, I note that I’ve scored each of the Wiser’s special releases 88/100, so the only thing I can do is try them H2H2H, all three in a standard Glencairn. I have to give this one to the Dissertation. It has a fruity quality (something sweet, tropical and slightly over-ripe) which mingles with its syrupiness. The Last Barrels has a stronger nose but there’s something just slightly off tonight, sour milk? U52 comes in a little softer than the Last Barrels, but a little nicer. The dissertation attacks the palate with rich spiciness, the Last Barrels is less fruity and spicy and has that umami quality I mentioned in my review, and [see above for tasting notes on U52]. Again I’ll go with the dissertation first and the U52 second. So in a triple head to head I think my favourite of the three is the Dissertation. Of course, Canada Day celebrates the coming together of the different provinces and territories to create one great nation. So on June 23 I poured equal parts of the three from my H2H2H into a small bottle and let them marry. What will this “Confederation” produce? Nose: I get a bourbony quality, some dust. Fruitiness. Artificial cherry, hint of rye bread. Finish: Medium short. Astringent. A little sour and bitter (in a good way. Balance: Despite this being a 1:1:1 mixture of three different whiskies, I think it balances out nicely. But its more interesting to taste each one separately. @Nozinan, a fun exercise no doubt! It would have been interesting to include your analysis of "no glass", a swig from the bottle. Thank you for sharing this delicious hybrid (or is it a cross over?) with @talexander and me. about one year ago 1Who liked this? @Nozinan A mari usque ad mare would have been a nice title for it as I was scrolling down your review I was thinking that it was as long as a map of Canada. Very fun review. All these wonderful things being mentioned about Dissertation....I'm not sure I want to open my bottle. If I love it, I'll be sad once it's gone....Very interesting review. It's cool to read about the different experiences in different glasses. @Nozinan, congratulations on your 100th Connosr review, and Happy Canada Day # 150! That is an impressive list of contrasting glassware takes on the whisky. You've got the fastball, change-up, and slider covered. Add in some truly bizarre glasses, like the NEAT glass and the Norlan glass and you will also have the curveball and screwball as part of your repertoire. A big bulb snifter will probably also frequently give some significant variation as well. All in all, it looks like a lot of work with all of those glasses. Fun to read, though. Thanks! @OdysseusUnbound There's still lots left at the LCBO.... you can pick up a spare or 2. I feel the same way about the Union 52. I would have been happier with a couple of bottles as a back up, but there was a limit to what I could procure, and nothing is forever... I have absolutely no regrets about the bottles that found their ways to other parts of Ontario. @Victor Thanks for the good wishes. I used the glassware I had on hand. The only things I left out were tumblers and a couple of wine glasses that I never use at home, oh, and a shot glass. I think that trying a port pipe would have been helpful. I may add that in the future. I'm always looking for new glassware to experiment with. My recommendation would be that the next time we get together, we try one (I think only one is feasible) of the expressions in as many glasses as we can find.